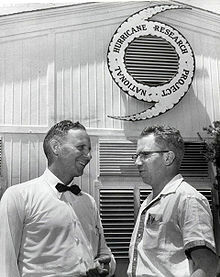 Dr. Simpson and R. Cecil Gentry in front of the original National Hurricane Research Project at West Palm Beach in 1956. 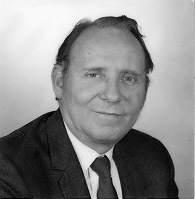 Dr. Simpson early in his career at NOAA. Drs. 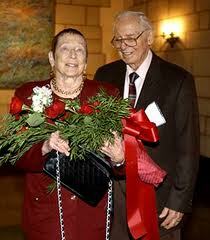 Joanne and Robert Simpson at an American Meteorological Society Annual Meeting. 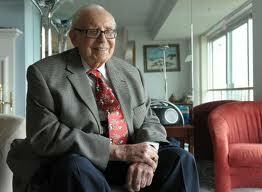 Dr. Simpson at home, spring 2012. 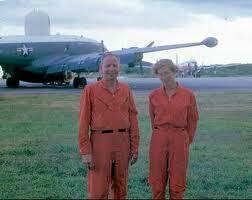 Robert Simpson, original director of the National Hurricane Research Project, and his wife Joanne Simpson, head of Project STORMFURY, in Roosevelt Roads NAS, Puerto Rico in 1964. Dr. Simpson gives the opening talk at the 2012 AMS Conference on Hurricanes and Tropical Meteorology, titled “Background and Motivations for the Saffir / Simpson Scale.” Listen here.